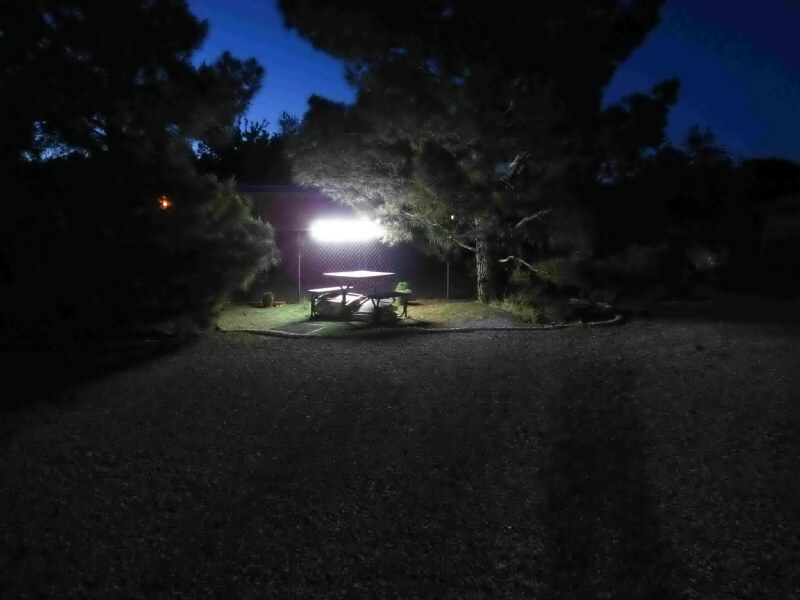 The Thin-Lite VFI LED series are rugged duty outdoor lights. disaster, camping, vehicle and shelter applications. are ideally suited for portable shelters. In our old location I used them for our packing table and shipping area. As of today, I have one over my desk and two more to install. 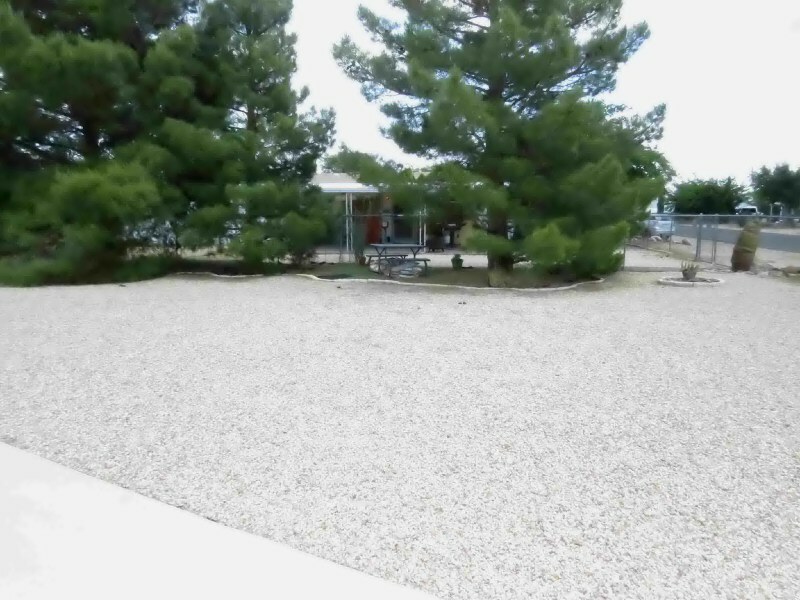 We also have one in Christine's "park area" in the yard. so we could easily disconnect them and move them in an emergency. 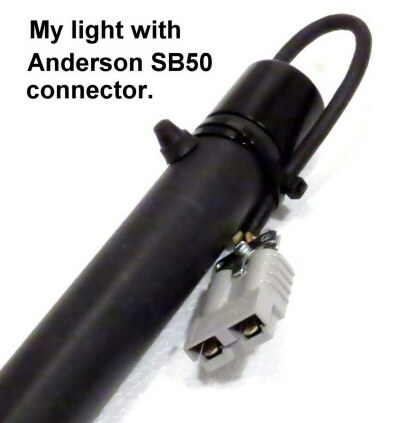 Lighter plug and SAE connections are also suitable for quick deployment applications. have a variety of uses. source of light, I can't think of any other option. setting when the optional momentary push button is installed. 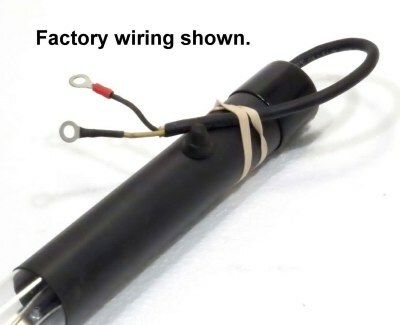 they don't require heavy cable for long wire runs. 35" (LEDVFI135P), 42" (LEDVFI142P), 45" (LEDVFI145P) and 55" (LEDVFI155P) approximate overall length. We will show the different options for each model near the bottom of this page. LEDVFI55P with switch over my desk. End of light showing Anderson SB50 connection I added. Light coverage over my desk. 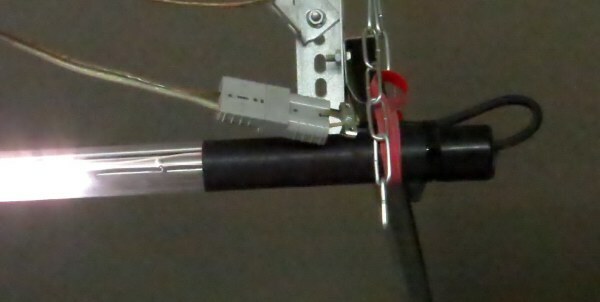 Factory wiring with ring terminals and optional push-button switch. Anderson SB50 connector I connected to the input wires. 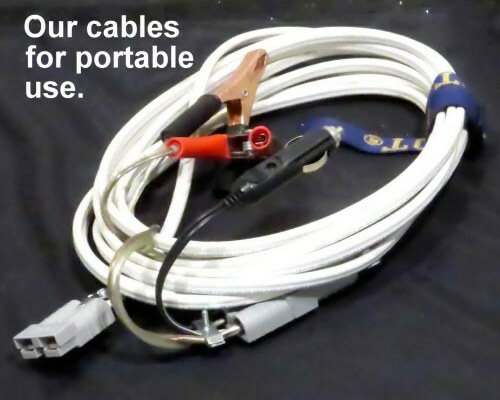 One of the extension cords (for portability) using marine cable. Has SB50 connector on one end. sources including battery post terminals. the lot. Two of them have a large gap between them. I cleaned it up, put down some fake turf and a small plastic picnic table. Christine loves her "park" but wants to use it at night. 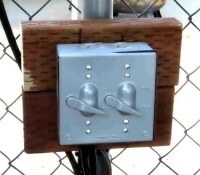 horizontal tubing on the chain link fence and put up a weather-tite switch box. light (for security) to the driveway. This fixture draws about 1.10 amps at a nominal 12 volts d.c.
high / low (two outputs) dimmed. The standard models without the switch can not be dimmed. The 35" models have been discontinued. LEDVFI135NBP (35" long with standard 4000K cool white leds) No Switch - Can not be dimmed. LEDVFI135NBP5 (35" long with daylight 5000K leds) No Switch - Can not be dimmed. LEDVFI142P (42" long with standard 4000K cool white leds) No Switch - Can not be dimmed. These 45" models are currently available. 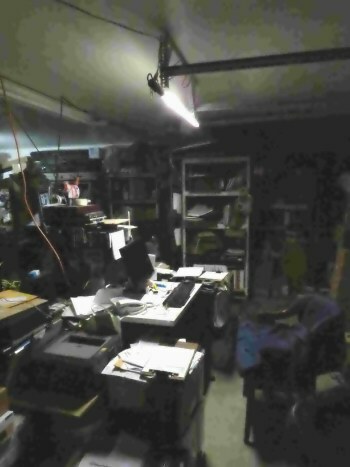 at a nominal 12 volts d.c.) No Switch - Can not be dimmed. The 55" models have been discontinued. a nominal 12 volts d.c.) No Switch - Can not be dimmed.